As we know, guitar players are some of the most finicky people around. This is especially true when it comes to purchasing a guitar. Like most stringed instruments, guitar making is usually of wood, and currently is the common practice today. But seriously speaking, they shouldn’t be – not anymore – and here’s why. Does you recall the Brazilian rosewood? How epic the figuring was on an old Martin. How amazing it sounded when combined with a spruce top. Well, what’s happened now? It’s gone. Not only is it gone, its completely protected by CITES (the Convention on International Trade in Endangered Species of Wild Fauna and Flora) and restricted it from being milled or cut for any type of manufacturing. This occurred because the industry completely saturated Brazilian rosewood to near extinction. After recently coming back from a Taylor product training day event, we learned that ebony is becoming scarce. Bob Taylor now owns the only ebony mill left standing in Cameroon of which he promises to properly maintain the cutting exporting and proper, sustainable methods involved to ensure that ebony will stay afloat. And you might guess why this is, yes, unfortunately ebony has become in the very same state as Brazilian rosewood – near extinction. In addition to all this, since January of 2017, CITES implemented laws stating that Indian rosewood is now endangered and thus needs proper CITES paperwork to be processed/sold/bought etc. To put the object of this article into perspective, let me ask, what’s the age of the phone you currently use? I’m guessing it’s likely a smartphone that’s less than five years old. Now let me ask how old your television set is at home? I’ll bet you’re not still using that big bulky type with the tube in it. So let me ask you this, what about as a guitar player? What are you playing? A wooden guitar that still needs service every season due to being made of wood. And likely your wooden guitar has been finished in nitro, a hazardous and toxic lacquer requiring specific application methods to ensure its user doesn’t get sick. I think you’re starting to see my point. So now, let me direct your focus on to wooden guitars and the idea of newer sustainable guitars. We live in a high-tech culture, everything moves, changes, upgrades at lightning speed. Global warming is a real thing and we need to be mindful about it in every aspect of our lives. We have electric cars, recycling programs, and we have solar powered gadgets and solar panels for our homes. So why stay stagnant with guitars? Luckily, some companies have taken the leap forward into innovating and creating musical instruments and guitars that have next to no wood, nor contain any toxic finish. Journey Musical Instruments have developed the Carbon Fiber OF660. 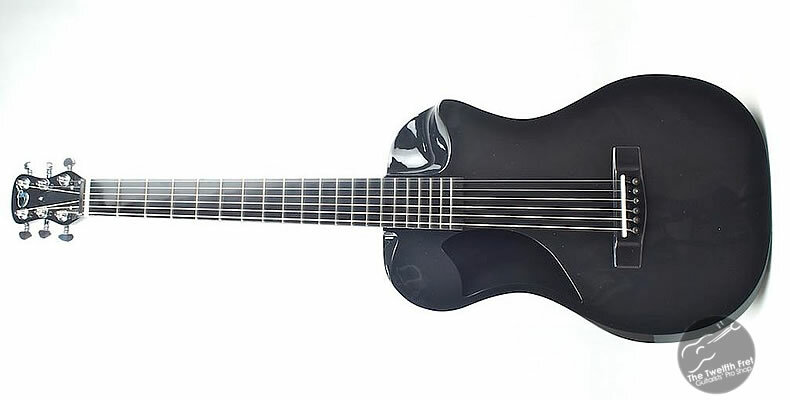 An all carbon fiber travel guitar that has a foldable neck for easy travel. Carbon fiber is lightweight, resilient, and ultra study. This means in a guitar playing sense that neck is not sensitive to humidity changes like a wooden guitar, nor will it crack or dry out. 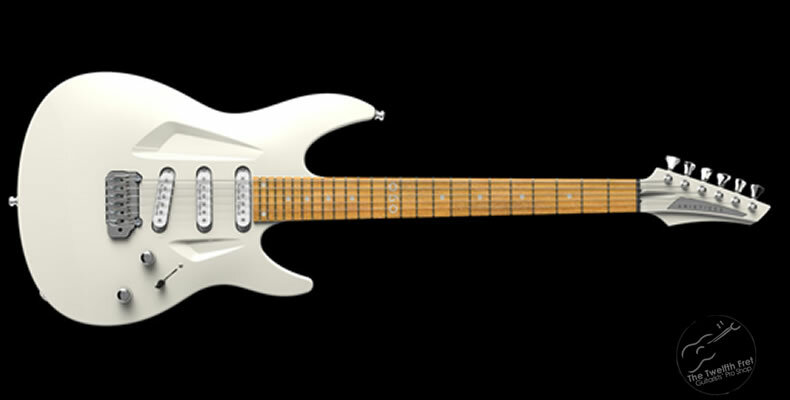 New(ish) to the guitar industry is Aristides Instruments. 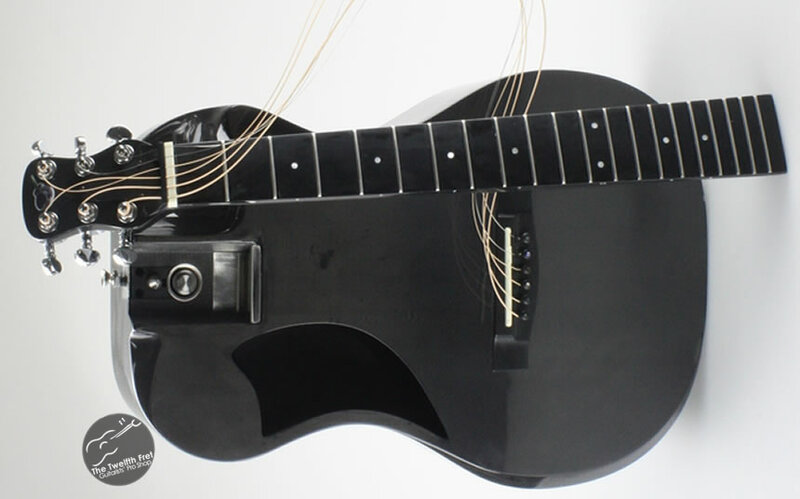 These are guitars made of something called Arium; a synthesized material made up by mad Dutch scientists in 1995 that have just as much resonance and sustain as wood. Sandwiched by gloss and carbon fibers from an exo-skeleton guitar shaped mold, and fitted with richlite fret boards, these guitars are completely non-wood. And they sound, GREAT. New Aristides integrally layered with Arium. Its longevity. Think about a guitar that will last you through the ages. How a guitar could live a life for as long as you intend on playing it; without wearing out over time. Will you be able to play the instrument day in day out without a care in the world regarding its upkeep? And if so, what kind of guitar will you need to achieve that? Can you play the guitar and when you put it down, not have to worry about it drying out, aging, etc. Now if you can own a guitar and carry on with the rest of your busy life without these concerns that would be pretty sweet – wouldn’t it?